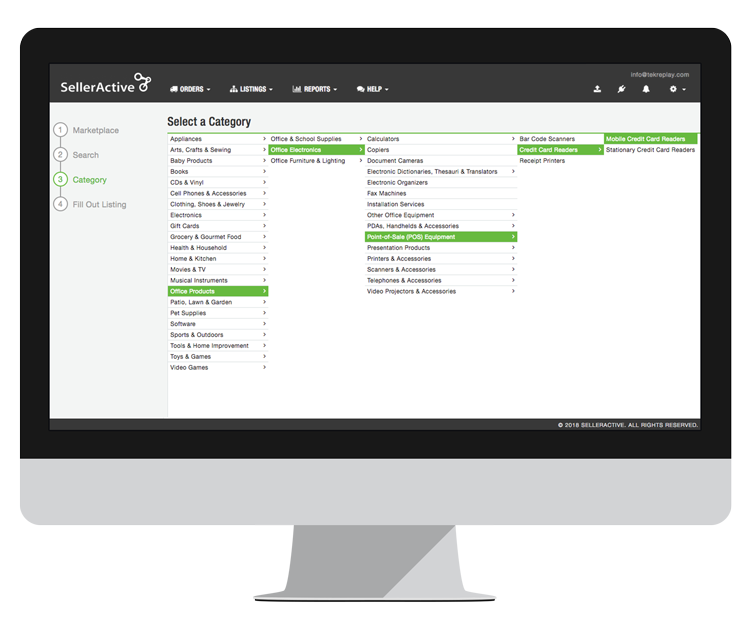 SellerActive’s online dashboard makes it easy to monitor and adjust inventory levels, no matter where you sell. When you make a sale, SellerActive automatically updates your inventory levels on all sales channels, which keeps your inventory counts correct, and protects your business from overselling. Create product listings on Jet.com through SellerActive's easy-to-use upload tool, or link multiple SKUs under one new listing with our product bundle template. 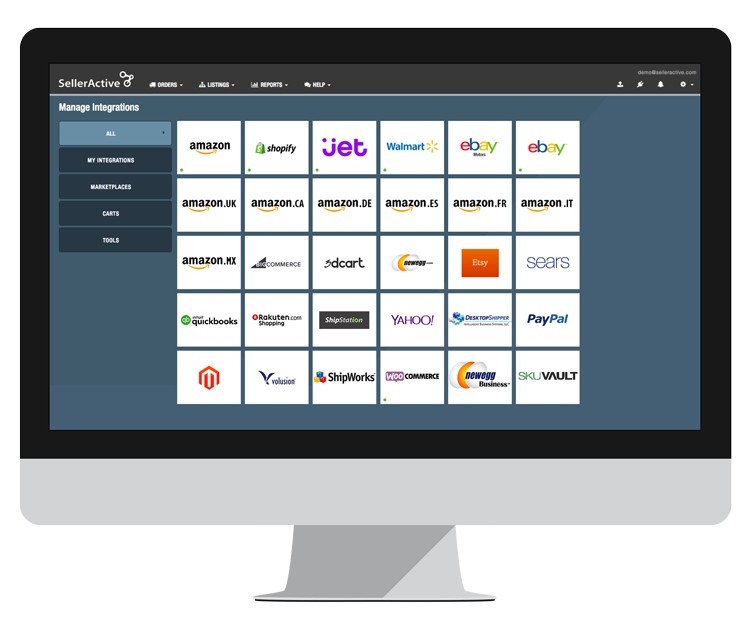 Use SellerActive’s consolidated order management tool to sync orders from every site you sell on. 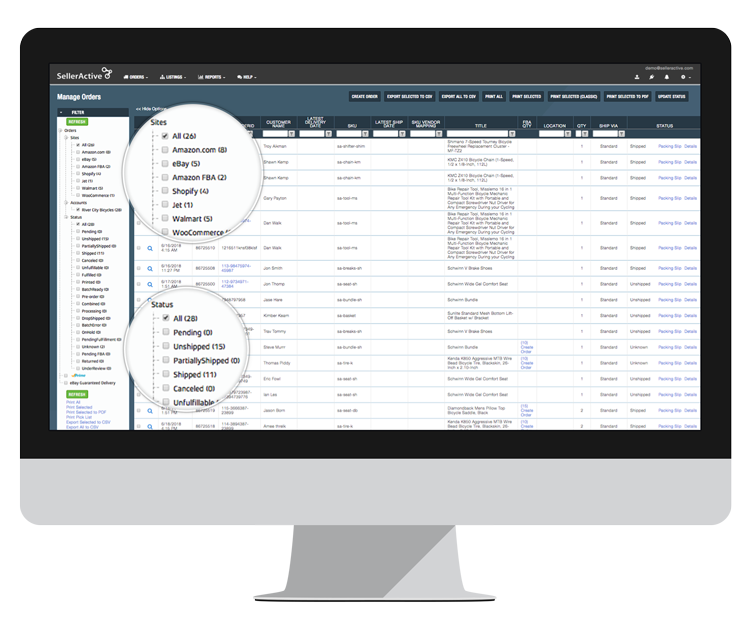 Fulfill, pack and ship orders from one central dashboard, and manage returns and refunds with the click of a button. SellerActive allows me time to focus on growing my business. It's like hiring a full-time employee to balance inventory."